You are here: Home › News › News › SRLP Congratulates Chelsea Manning on Her Name Change! Today, a judge in Kansas granted Chelsea Manning’s name change! Congratulations, Chelsea! We are inspired by Chelsea and other incarcerated community members who are standing up to militarism and state violence and working to make our lives more possible. Do you know what it takes to change your name in prison? For our community members who are incarcerated, filing for and obtaining a legal name change can be an enormous and sometimes impossible task. For most incarcerated people, especially those without familial support, it can take years to obtain enough money to pay the filing fees when no fee waivers are available. Even when a person has the necessary funds, these name changes are frequently denied when the petitioner is not represented by counsel. 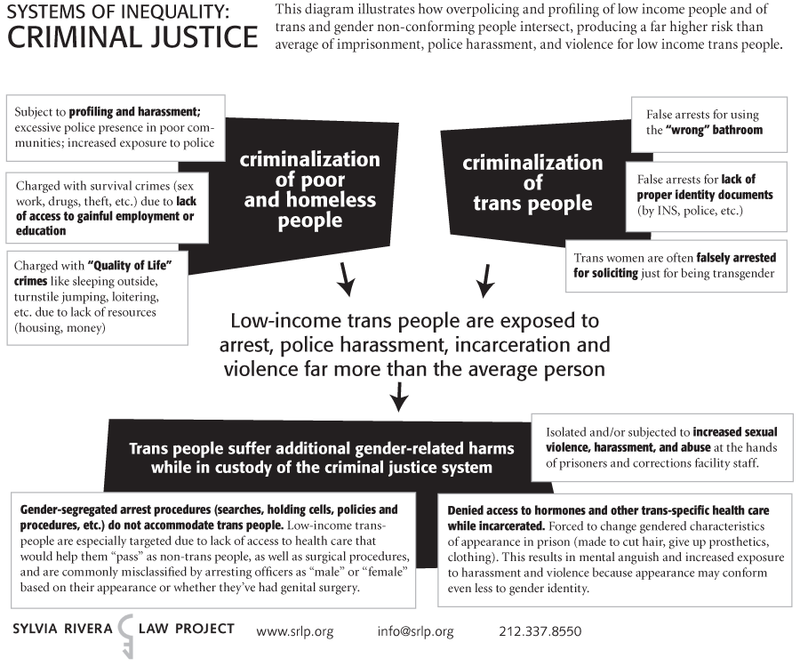 There are few resources available for transgender people in the prison system and few legal remedies available. Through training, technical assistance and provision of resources, our Prisoner Name Change Project has deepened the capacity of other attorneys to take on these cases. This year, SRLP’s Alisha Williams and Elana Redfield trained 4 outside attorneys to provide name changes for trans and gender nonconforming people in prison, which they will provide on a pro bono basis. Additionally, Elana joined attorneys from TLDEF and the ACLU, to train over 20 attorneys on the name change process for transgender people in New York State. Increasing our capacity to support our community members in prison is crucial. $260 covers the filing and publication fee to obtain a name change for a person in prison. $700 covers the appeal costs of challenging the denial of a name change. $1,000 helps SRLP provide training and technical assistance to increase the capacity of other attorneys and service providers to take on these cases. …plus the costs of traveling to and from prison. SHARE SRLP’s chart diagramming disproportionate policing and incarceration, IT’S WAR IN HERE, a report about the experiences and resistance of people who are incarcerated, and SRLP’s Name Change Guide for NYC residents. CONNECT by becoming a pen pal through Black and Pink or volunteering to make prison visits. SRLP’s Prison Visit Guide is coming soon! DONATE to support our Prisoner Name Change Project and SRLP’s other crucial work at http://srlp.org/donate or by sending a check to the Sylvia Rivera Law Project at 147 W. 24th St, 5th Floor, New York, NY 10011. It’s Drop-In Day at SRLP!